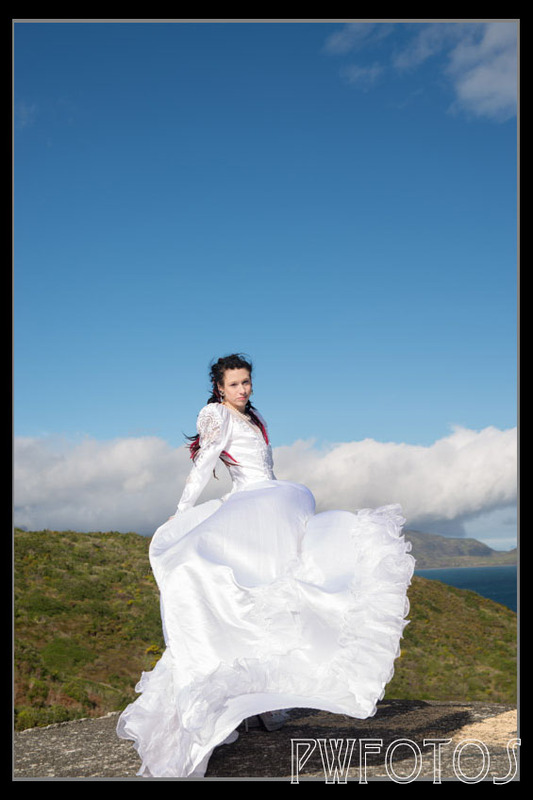 The second outfit that Kristara and I shot at Palmer Head was a old style lace and satin wedding dress. 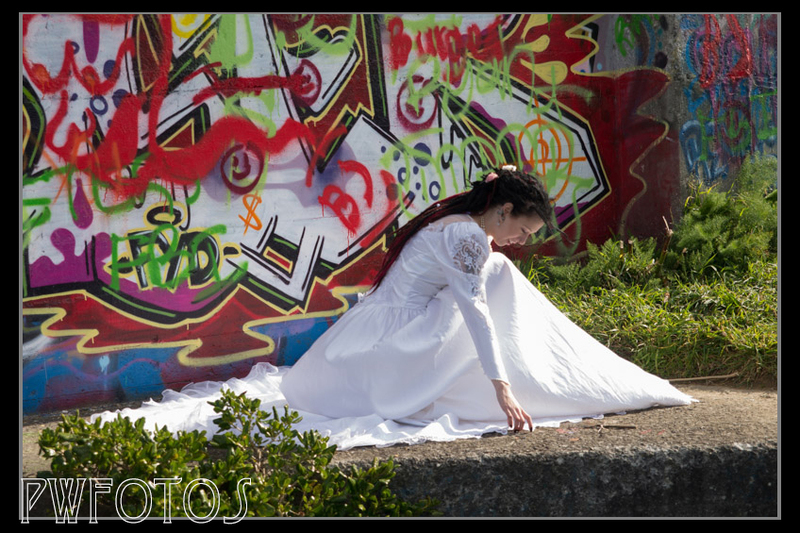 I bought it some time ago for a “trash the dress” shoot but it ended up not being used. 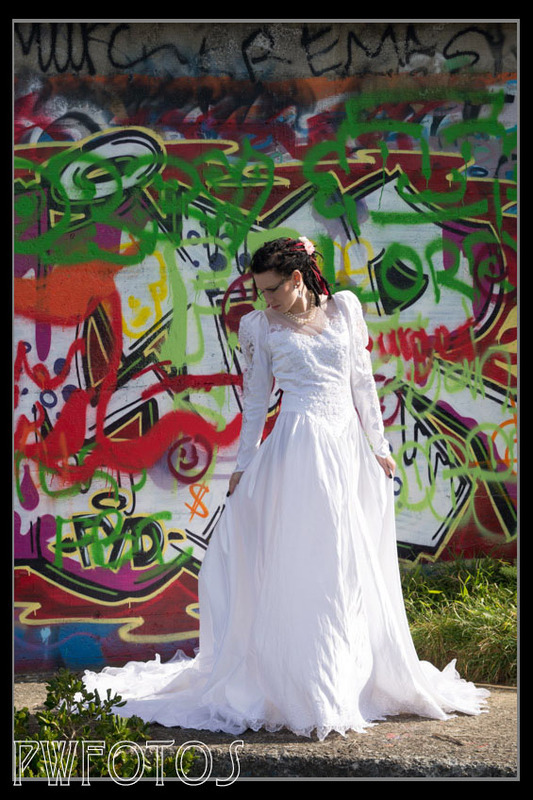 Rather than shoot inside the building this time we shot outside starting with the backdrop of the graffiti walls and then on one of the roofs. 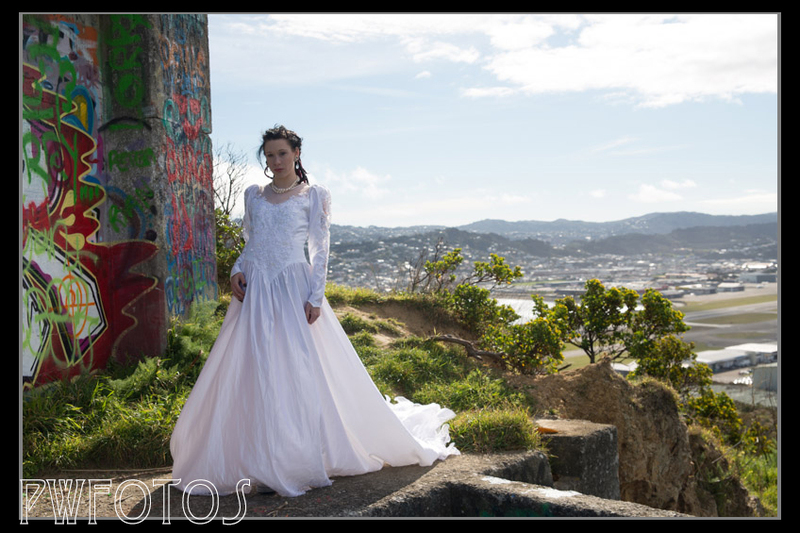 The latter location enabled me to bring in a more natural background to the shots. The days turned out very fine and the shoot was a great practise session for the upcoming wedding session as we ended you shooting at around 1:30pm under blue skies. As such it is was fairly typical of the sort of days that most brides actually want. Ideally I could have done with an assistant to help out as in a number of shots I really could have used a reflector to bring up some of the shadows. Still on wedding days you have to make do with what you have. Kristara was very brave moving round the site in 6 inch heels, and I think that she real enjoyed herself. The wind came up a little during the shoot and we were able to use it for some advantage to billow out the long train on the dress.